Which Female ACOTAR Character Are You? Hi! Have you ever wondered what female ACOTAR character you are? Are you one of the Archeron sisters, or maybe Mor or Amren? Then take this quiz! I hope you enjoy it, thanks so so much for taking it! I apologize if some of the character descriptions aren’t very accurate, I’ve only read the series once and am still getting to know them. Please rate and comment when you are done, and thanks for taking the quiz! Have fun! You are given a private 3-acre piece of land. You can do whatever you want with it. What do you do? You make a huge jewelry shop. You build an art studio. Leave it as is, maybe I’ll use it in the future. You make a house for your family. In the battle, of course! I will fight forever if I have to to win! In the healer’s tent. There are people who need me. In the commander’s tents, helping them strategize. There are three small chests, and beside each is a key. You can only unlock one. Which do you pick? The bright gold chest, because when you rattle it, you heat metal pieces clanking together. The tiny iron one in the corner. It looks like there will be something good in it. The biggest of the three. It has swirls of black, silver, and gold painted on it. You have one day to have one of these powers. Which do you choose? Which emoji do you like best? What drink is your favorite? And lastly, did you like this quiz? 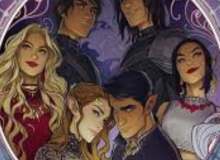 Quiz topic: Which Female ACOTAR Character am I?